Here’s a recipe you don’t even have to cook. 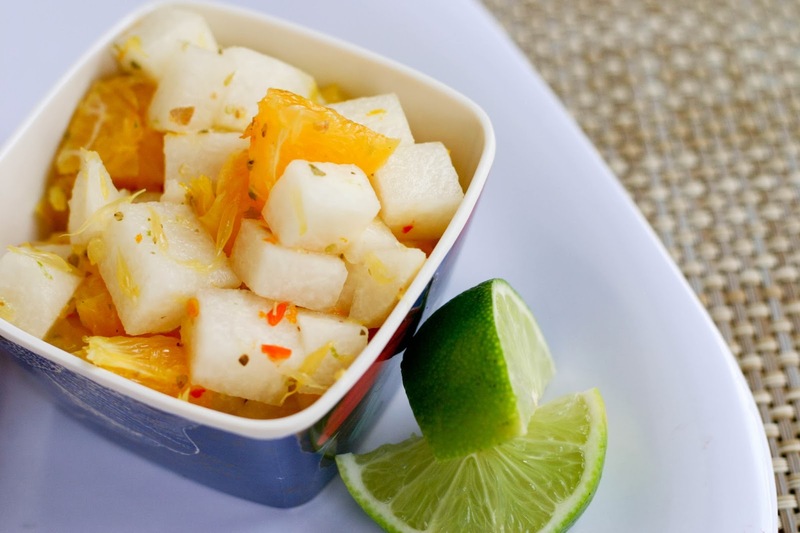 Crunchy slices of jicama (singkamas) combine with sweet carrots and oranges for a cool, refreshing salad. 1. In medium bowl, mix jicama, carrots and oranges. 2. In small bowl, combine oil, orange juice, honey, lime juice and salt, to taste. Mix well. Pour over jicama mixture.